Home » What should you know before moving to Miami? Miami. The city of endless beaches and nightlife. We all know what life in Miami is like, due to many movies and TV shows. Palm trees and constant warm weather. Feeling the wind in your hair while driving your cabriolet next to the endless sealine. Building your new life here is very tempting, and there sure is a reason for it. It is no surprise that many people come to retire here. Who would not want to live in a land which many imagine as their holiday place of choice? So, let’s dive into exploring this beautiful city, and learn everything there is to know before your move to Miami. Miami Skyline – wake up every day to this sight when you move to Miami. The city of Miami is located at the tip of the Florida peninsula, with the Gulf of Mexico on one side, and the Atlantic ocean on the other. Due to its proximity to the Equator, it has a tropical monsoon climate. This means that the average temperature for the coldest month (January) is 20°C. The hottest month is July with an average of 28°C. Who wouldn’t want to live in this tropical paradise? Palm trees as far as the eye can see – nice! Before your move to Miami, you have to choose if you will rent or buy a house. This purely depends on your financial situation, and it should definitely be your choice. Be wary of real estate agents trying to bait you into doing something that is not suited to your financial situation. When you make the choice, you should then start to look up the best neighborhood for you. The average rent price in Miami is $1,669, but it, of course, varies on the neighborhood. The most expensive neighborhood is Brickell Key, with the average renting price of $2,422. There are a couple of neighborhoods which offer a cheap renting price like El Alamo or Pine Lake and the renting price is around $1000 to $1100. If you are planning on buying a house, this will surely be more expensive because you will have to give a lot of money at once. However, you will get a place for your family independent of any landlords. The average price of a house in Miami is $333,600, but it also depends on the neighborhood. See what suits your needs and make a decision that will pay off. A very important step before making your move to Miami is hiring reliable movers. When you hire a reliable moving company, the chance of your belongings getting to your new home intact will increase greatly. There will also be a lower chance of you getting scammed with paying additional services which were not discussed before your move. Miami Heat, NBA, which play in the American Airlines Arena in Downtown Miami. The Miami Dolphins, NFL, with their stadium called the Hard Rock Stadium located in suburban Miami Gardens. The Miami Marlins, MLB, with their ballpark called The Marlins Park, located in Little Havana. All these provide many possibilities for entertainment, whatever your preferred activity is. Miami is a big place on the cultural activity map. It is the place of Adrienne Arsht Center for the Performing Arts, which is the second largest performing arts center in America, the first being the Lincoln Center in New York City. There is also an annual film festival called Miami International Film Festival, which lasts about ten days, and is a very celebrated and joyous occasion for the inhabitants of the city. They also have an annual Miami Fashion Week, for all fashion enthusiasts. Music is a big part of Miami culture. With many influences from the Central American and South American countries, they developed a unique style. This all evolved during the years and culminated with disco music. Disco music during the 80s is one of the first things that come to mind when we think of Miami. Disco music and neon lights. With a resurgence of the 80s aesthetics in modern culture, it would be a good idea to check the birthplace of the whole idea and try to feel the history of a very influential movement. Move to Miami and enjoy all its perks! As with the music, Miami cuisine is very influenced by South and Central American cuisines, such as Carribean or Latin. They created a so-called, Floribbean cuisine, by mixing it with American cuisine. A cortadito (Cuban espresso) with a pastelito (a Cuban pastry) is a common breakfast idea in Miami. Food is an important thing to consider before your move to Miami, and it is clear that Florida cuisine will surely grab your attention. 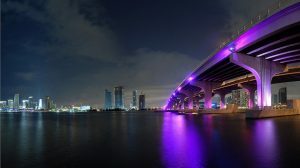 Miami is a great place to live, from the entertainment and nightlife standpoint, all the way to the warm weather, with little sports on the side. 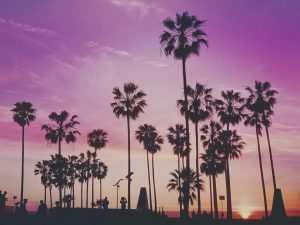 The prices of living are similar to any metropolitan city in the United States of America which means that you will probably have a good time from a financial standpoint. And from many other standpoints as well, for it is one of the glamour centers of America. Move to Miami! It’s a good bet! And even better – our local movers can help you do it quickly and hassle-free!